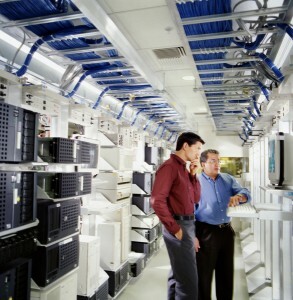 Whether you are decommissioning assets, relocating a data center, or shipping machine parts according to a strict timeline, handling government logistics requires a deep knowledge of the unique needs faced by governmental entities. At AFP Global Logistics, we have provided supply chain management and logistics services to the U.S. Government and its subcontractors for more than 25 years and we are able to handle any logistics needs professionally and promptly. Our expertise ensures that we will be able to honor your timeline and budget and we will work hard to ensure that everything goes exactly according to plan so you won’t have to worry about a thing. Government logistics are complex. AFP Global Logistics can make them simple. Our Government Logistics division is responsible for meeting the systematic and operational needs of the United States Government and the Department of Defense (DOD). Our experienced crew members have a deep understanding of the unique requirements of governmental contracts as well as their billing systems, so we can handle any request with ease. Every solution we create is tailored to the needs of the client because each job is unique, so we will work closely with you to ensure that risks are mitigated and efficiencies are maximized to produce the best possible end result. You will work with a single point of contact throughout the whole process who will help you determine the services you require, whether that’s help with ocean shipping logistics, expedited air freight, or a custom project. No matter how complex your project may be, let the experts at AFP Global Logistics handle all of your government logistics.. If you are looking for trustworthy and expert logistics company who understands the unique needs of government contracts, look no further than AFP Global Logistics. We provide a full range of shipping and logistics services, and our 25 years in the business have given us the tools we need to create customized logistics solutions that are tailored to the needs of each client we serve. For more information or to start designing your own logistic solutions today, get in touch with AFP at 410.590.1234 (toll-free 800.274.1237), email us at info@afplus.com, or fill out our quick and easy contact form here! This entry was posted on Wednesday, July 27th, 2016	at 8:47 am	and is filed under Business Basics	. You can follow any responses to this entry through the RSS 2.0	feed. Both comments and pings are currently closed.